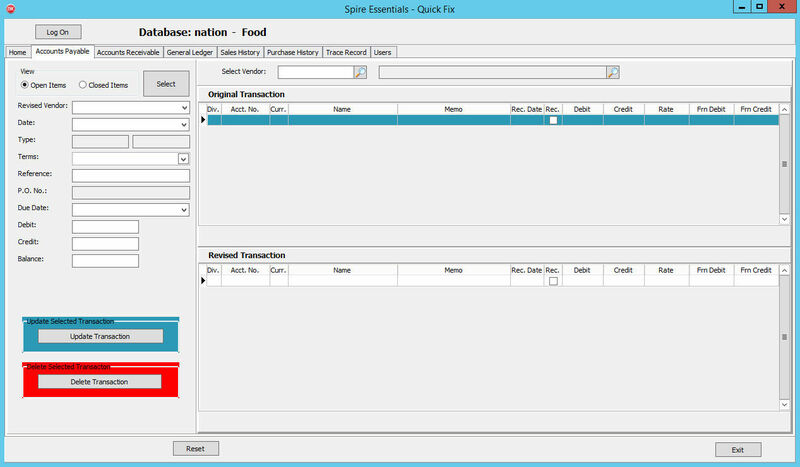 Cook My Books allows you to change transactions in the General Ledger, Accounts Payable and Accounts Receivable. Also, edit customer invoices and vendor purchase orders all while maintaining an audit trail. Accounts Payable: Update/delete the accounts payable records and related general ledger records. Accounts Receivable: Update/delete the accounts receivable records and related general ledger records. General Ledger: Update/delete the general ledger records. Sales History: Update/delete sales history records. You can change the ship address, terms, customer numbers, sale items data, etc. Purchase History: Update purchase records like ship address, terms, reference number, items weight, etc. Users: Add new users and assign users limits for changing the records. Changes Logged: Every change by made by Cook My Books is logged. Searches can be performed on changes and printed.